Spanning centuries of music history, the banjo remains a recognizable and unique instrument in genres including bluegrass and folk. As the banjo reaches new parts of the world, we can trace back its appearances in the rise of many musical figures in American music. 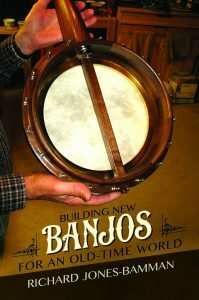 Here are eight books and two journal articles that explore the history and growth of the banjo and those who mastered its complex chords. The story of the banjo’s journey from Africa to the western hemisphere blends music, history, and a union of cultures. 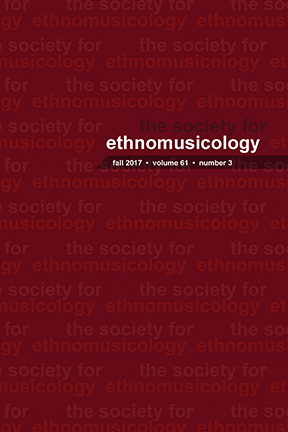 In Banjo Roots and Branches, Robert B. Winans presents cutting-edge scholarship that covers the instrument’s West African origins and its adaptations and circulation in the Caribbean and United States. 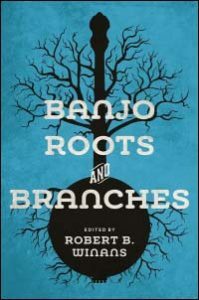 Wide-ranging and illustrated with twenty color images, Banjo Roots and Branches offers a wealth of new information to scholars of African American and folk musics as well as the worldwide community of banjo aficionados. Banjo music possesses a unique power to evoke a bucolic, simpler past. The artisans who build banjos for old-time music stand at an unusual crossroads–asked to meet the modern musician’s needs while retaining the nostalgic qualities so fundamental to the banjo’s sound and mystique. Richard Jones-Bamman ventures into workshops and old-time music communities to explore how banjo builders practice their art. His interviews and long-time personal immersion in the musical culture shed light on long-overlooked aspects of banjo making. 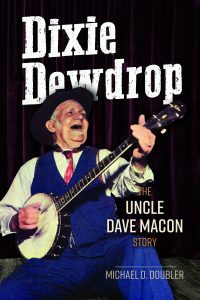 Michael D. Doubler tells the amazing story of the Dixie Dewdrop, a country music icon. Born in 1870, David Harrison Macon learned the banjo from musicians passing through his parents’ Nashville hotel. After playing local shows in Middle Tennessee for decades, a big break led Macon to vaudeville, the earliest of his two hundred-plus recordings and eventually to national stardom. Uncle Dave–clad in his trademark plug hat and gates-ajar collar–soon became the face of the Opry itself with his spirited singing, humor, and array of banjo picking styles. Neil V. Rosenberg met the legendary Bill Monroe at the Brown County Jamboree. 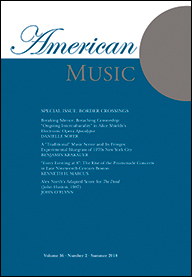 Rosenberg’s subsequent experiences in Bean Blossom put his feet on the intertwined musical and scholarly paths that made him a preeminent scholar of bluegrass music. 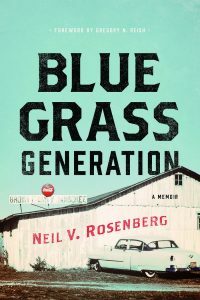 Rosenberg’s memoir shines a light on the changing bluegrass scene of the early 1960s. Already a fan and aspiring musician, his appetite for banjo music quickly put him on the Jamboree stage. The Father of Bluegrass Music, Bill Monroe was a major star of the Grand Ole Opry for over fifty years; a member of the Country Music, Songwriters, and Rock and Roll Halls of Fame; and a legendary figure in American music. This authoritative biography sets out to examine his life in careful detail–to move beyond hearsay and sensationalism to explain how and why he accomplished so much. 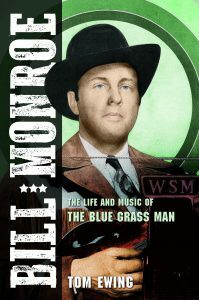 Filled with a wealth of previously unknown details, Bill Monroe offers even the most devoted fan a deeper understanding of Monroe’s towering achievements and timeless music. 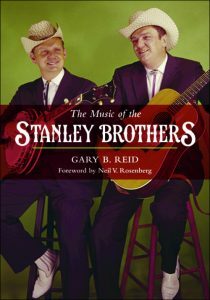 The Music of the Stanley Brothers brings together forty years of passionate research by scholar and record label owner Gary B. Reid. A leading authority on the Stanleys, Reid augments his own vast knowledge of their music with interviews, documents ranging from books to folios sold by the brothers at shows, and the words of Ralph Stanley, former band members, guest musicians, session producers, songwriters, and bluegrass experts. The result is a reference that illuminates the Stanleys’ art and history. 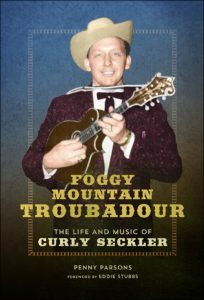 With his trademark mandolin style and unequaled tenor harmonies, Curly Seckler has carved out a seventy-seven-year career in bluegrass and country music. His foundational work in Flatt and Scruggs’s Foggy Mountain Boys secured him a place in bluegrass history, while his role in The Nashville Grass made him an essential part of the music’s triumphant 1970s revival. 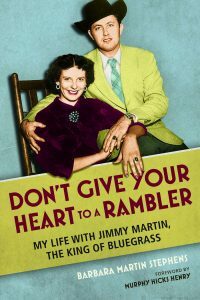 As charismatic and gifted as he was volatile, Jimmy Martin recorded dozens of bluegrass classics and co-invented the high lonesome sound. Barbara Martin Stephens became involved with the King of Bluegrass at age seventeen. Don’t Give your Heart to a Rambler tells the story of their often tumultuous life together. Straightforward and honest, Don’t Give your Heart to a Rambler is a woman’s story of the world of bluegrass and one of its most colorful, conflicted artists.